There's nothing subtle about this year's fall trends. They're bold, impactful and ready for anything. The trend-setting sneaker of the season features metallics, even if it's just a hint. If it's from one of the big brands like Adidas, it's sure to rocket to the top of every most wanted list. Rose gold metallic is huge, with silver and gold metallic following closely behind. Sometimes the metallic is an accent, like the swoosh on a Nike; other times it's the entire shoe. Bottom line, you'll shine in any style with metallic details! If fall were a color, it would be burgundy. The rich tone underscores the intensity of the season. This fall, you’ll see burgundy everywhere, especially in shoes. Dress styles, like the Jayda from Michael by Michael Shannon, will add depth to your wardrobe. Our advice? Take this dramatic color and run with it! Add some edge to your look with the Jayda women's heel from Michael. Perfect for work or for play, the suede upper and ribbon strappy detail go perfectly with any outfit. 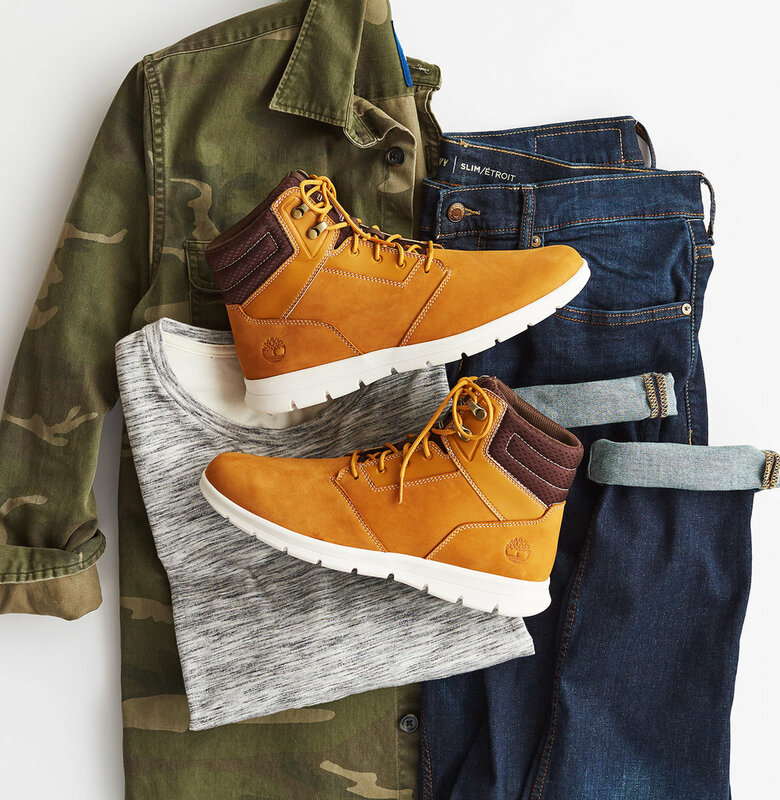 Military-inspired styling gives the combat boot a versatile edge. It can be rock-star cool, under-the-radar casual or even dressy with a tinge of rebel. The Madden Girl Eloise is a good example. The mid-cut lace-up with a lug sole features patch details for a fashionable flair. Wear it with denim or a dress, the choice is yours. No procedures to follow here! Keep your style in check with the Madden Girl Eloise women's boot. It features a mid-cut construction, wrapped in faux leather and a front adjustable lace-up. Adding a military inspired look is a lug sole and patch detail. On the street or on the trail, men’s casual boots have hit their stride. The Timberland Graydon, for instance, features a trendy white outsole and streamlined sneaker styling. Looks great with denim. But it also features water-resistant nubuck and a traction sole – just what you need for a fall hike in the woods. Special hiking boot qualities combine with classic sneaker style to create the Graydon Water Resistant sneaker boot from Timberland. 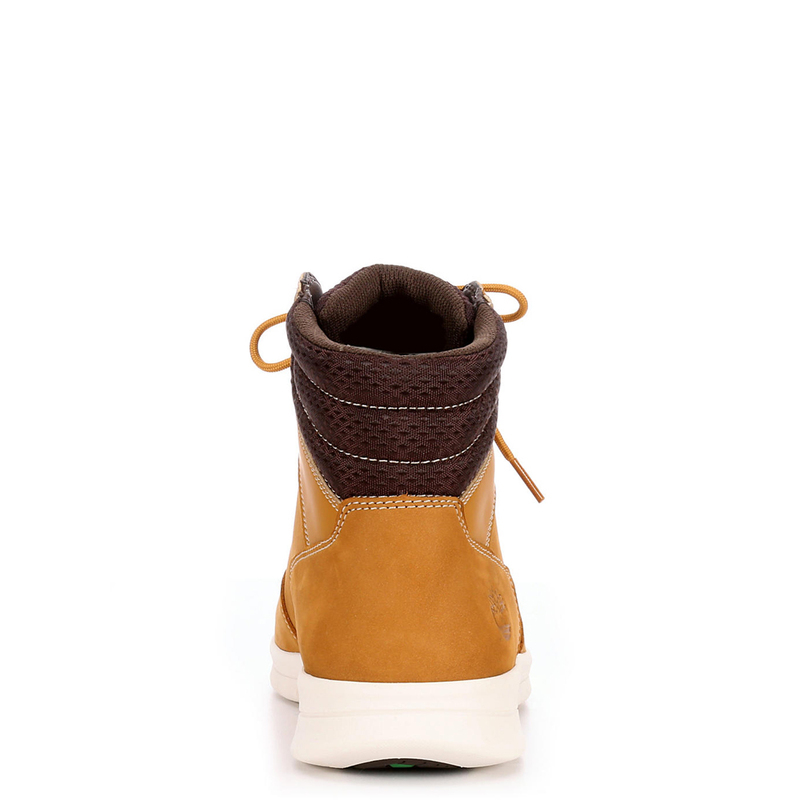 A durable nubuck upper is complimented with a comfort insole and water resistant materials. Finished with a traction outsole, this shoe looks great on the street and in the mountains.